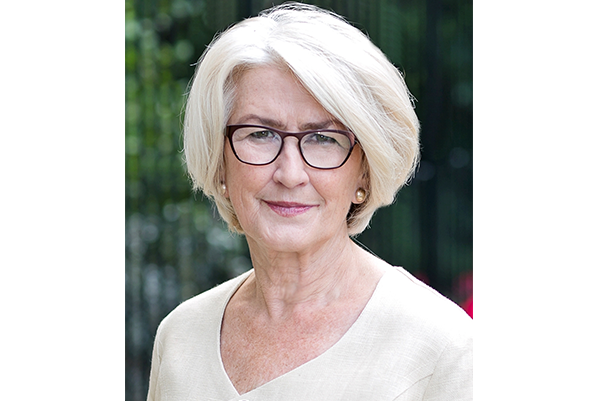 Ann Pettifor is an author and analyst of the global financial system, and co-author of A Green New Deal (2008). She predicted an Anglo-American debt-deflationary crisis back in 2003, and wrote The Coming First World Debt Crisis in 2006. She is renowned for her work on sovereign debt and her leadership of the Jubilee 2000 campaign to cancel $100bn debts owed by low income countries. She is Director of PRIME (Policy Research in Macroeconomics), and has an honorary doctorate from Newcastle University. She is an honorary research fellow at City University Political Economy Research Centre, and is also a fellow of the New Economics Foundation. The Policy Observatory, Auckland University of Technology, brought Ann to New Zealand in September 2016 to give two public lectures. In Auckland, she spoke on “Brexit, the retreat of globalisation and the implications for New Zealand” and in Wellington, she spoke about “Delivering the Green New Deal”. The Policy Observatory’s David Hall interviewed Ann on 2 September 2016, in advance of her trip. A shortened version of this interview appeared on The Spinoff. DAVID HALL: What is money? And, in particular, what is it about common-sense ideas of money that lead people astray? ANN PETTIFOR: Many great economists have understood money – including, of course, [John Maynard] Keynes. But it’s knowledge that we seem to find and then lose. In essence, the barter system – as David Graeber has shown – is one in which agents exchange goods of a privileged value. But the monetary or credit system is based on trust, faith, and promises. Money is nothing but a promise to repay. It originates – as Graeber argues – 5,000 years ago in communities where a village would promise to fix her neighbour’s roof if she had already done the favour of helping to build a hut. The chief in the village would ensure that these promises were upheld. That's where the word “credit” comes from: I believe you will repay or reciprocate your obligations. Money is a way for society to manage its obligations. But with our modern financial system we’ve effectively done away with regulation by the equivalent of “the chiefs” and left it to bankers to maintain the system of managing our obligations. This is unwise, as when banks create credit, all they’re doing is entering numbers into a ledger or a computer, and in exchange for that number demand from the borrower collateral, a contract and repayment at a rate of interest. l like to tell the story of Ben Bernanke﻿’s first TV interview in 2009 as Chairman of the Federal Reserve during the Global Financial Crisis. He was on 60 Minutes and the interviewer asked where he got the money from: “Is that tax money that the Fed is spending?” [Bernanke] said: “It’s not tax money. The banks have accounts with the Fed, much the same way that you have an account in a commercial bank. So, to lend to a bank, we simply use the computer to mark up the size of the account that they have with the Fed. It’s much more akin – although not exactly the same – to printing money than it is to borrowing.” Of course, AIG had to offer collateral, sign a contract and agree a rate of interest on the US$85 billion bailout it received in September 2008. Nevertheless that was how that sum was created. DH: So is the idea that the state and the market are separate an illusion? Because it sounds like you’re saying that the regulatory basis for a well-functioning monetary system has withdrawn. Is that fair? AP: It is fair to say that the public authorities that uphold trust – the “village chiefs” – do not believe that it’s their responsibility to manage the market for money. They believe that financial markets are much like the markets for Nike shoes or Apple phones, and subject to “the invisible hand”, to the market forces of supply and demand. They prefer not to interfere in that process, and believe that with time, and a little help from the central bank, financial markets will return to a state of equilibrium. They have said – and they call this regulation – that the banks have to maintain a certain level of equity in their business, to shore up their capital. Because, before the crisis, banks were not only lending crazy money, they were borrowing crazy money without any equity stake in that borrowing. Now banks have to set aside a ratio of capital behind their activities. But there's still no restraint over banks’ lending practices. Central bankers have made no structural changes to the international financial architecture, and done nothing to prevent banks from lending speculatively according to their whim. Money is still treated by public authorities as a commodity or product, and expected to respond to supply and demand. But money is not a commodity, it is a promise to repay, via a process whereby banks tap a number into a ledger, and the law enforces the promise [or contract]. The problem with the financial system now is that the authorities whose role it is to maintain the system’s ethics underpinned by society’s values – those who should monitor and manage it to avoid corruption and abuse ­– have instead taken an arms-length approach. Instead regulators have allowed banks to create credit willy-nilly with virtually no regulation. And they’re still lending crazy money. Pre-crisis, they lent money, for example, to pole dancers in Florida on precarious incomes, and encouraged them to take out more than one mortgage. Since the crisis they’ve been lending money to corporations: corporate debt is going through the roof both in the US, in Europe, but also in China surprisingly. And this at a time when demand is depressed, and deflation looms. What we find in London – and I’m sure this is true also in New Zealand – is that banks are very willing to lend for speculation on property, but very reluctant to lend to SMEs [small and medium-sized enterprises] and others for productive activity that’ll generate income over the long-term and create employment. And central bankers are doing very little to guide commercial bankers, and address this continuing flaw in the management of the monetary system. DH: The idea of national debt is often framed as analogous to private debt, as if planning the finances of a nation-state is the same as planning the finances of a household. Is this analogy fair? In what ways does this analogy help or hinder public understanding? AP: I think it explains why people are so angry, because they’ve been able to see through the flawed logic of this. On the one hand, so the argument goes, the government is like a household: it has to collect taxes to pay for everything and if it doesn’t have enough tax revenues then it can’t pay for a decent national health service or any of society’s other real needs. On the other hand, these same governments and their central banks were able to produce trillions of dollars out of thin air – nobody knows how much money was raised – to bail out the banks. While the public may not understand monetary theory, they can nevertheless see that central banks did somehow find trillions of dollars to bail out the banks – yet apparently there isn’t enough money to upgrade the railway system, or to support farmers, or to do the other things that we as a society think are really important. Above all, we’re told there’s not enough money to tackle climate change, that we’ve run out of that kind of money, that we can’t possibly invest in new or alternative sources of energy or in the retrofitting of properties to ensure energy efficiency. Nevertheless there is a magic money tree that serves to bail out the banks. So the public get that there’s something really fishy going on. And they’re angry. Hence the rise of populist parties in Europe and the US. DH: Is it fair to say – in the wake of the Brexit vote – that people are rejecting economics as a source of expertise? Have economists failed Britons? AP: Yes I think so. What's interesting about the referendum is that the Westminster parties focused almost exclusively on marginal seats, on those seats that might swing in an election. And these tend to be in middle-class areas with middle-class voters. In general election, the Labour Party and the Conservative Party fight to win over those voters. In the referendum, that wasn’t the case. Suddenly, disillusioned voters in the north-east – in Labour-held seats and Tory-held seats – were able to express an opinion on an issue, and it turned out that they were the majority. The referendum reflected the anger about austerity and of course unlimited migration which politicians did not understand – and nor, by the way, did the economists. People here are very fed up with the rise in inequality – with the fact that their wages are still roughly 10 per cent below what they were pre-crisis, with the fact that London and the banking sector are getting richer as they get poorer, with the way that thanks to “austerity” their services are undermined and cut so that many poor people are losing additional income and additional resources provided by the state. That doesn’t affect rich people in London or Russian oligarchs who’ve come to settle here. But it does affect those in the north-east and poorer parts of Britain. So there is a disillusionment with the political class, but also with economics. I think economics has been so high-brow, so beyond ordinary human comprehension, that, in a sense, people don't know what they don’t like about economics. What they do know is that there's something terribly wrong with the way that the system is working and they’re very angry about it. This is why I’m a great Karl Polanyi fan. He was prescient in understanding that ultimately people will demand to be protected from the predations of “free” market forces – and this is what’s happening across the world. He was also correct in saying that they wouldn’t necessarily turn to progressive parties for that protection: they’re more likely to turn to right-wing parties who promise protection. They would prefer a strong man or woman – Mr Donald Trump or Ms Marine le Pen – to protect them from immigration, who will protect jobs, who will protect their culture, who will protect their economic interests. The Donald Trumps of this world assure us that they know how to do that, how to take on the big bad forces of “globalisation” that are hurting. So it’s not a direct questioning of economics, but it is a questioning of an economic system which is a product of economics and that has left people feeling very, very vulnerable to so-called “globalised forces”. The current argument around Apple refusing to pay their Irish taxes is revealing, because it is about Apple declaring itself to be stateless, to have no boundaries, to have no borders, and therefore not subject to the boundaries of policy. They located themselves in Ireland where the political class, in the past, were very keen to welcome the company and grab some crumbs from Apple’s table in return for giving the company big tax breaks. The reason why the European Commission is so angry about it is that there’s supposed to be a level playing field across Europe in competition terms. The Irish have been able to play fast and loose in to attract foreign corporations. In a sense, one must have some sympathy with Apple, because they were positively encouraged both by the dominant economic orthodoxy, but also by the political class in Ireland to locate there and dodge all those taxes. Now, suddenly, Europeans have woken up to what all this means. If they don’t do something to address government finances, they will see the rise of fascists in France, fascists in Poland, and possibly even back in Germany. So Apple has been told to pay it’s taxes. It’s extraordinary how Apple has believed that it can actually live beyond the embedded nature of economics – that is, Polanyi’s idea that all economic systems are embedded in cultures, in regulation. Apple prefers a disembodied, deregulated economics – and they’ve enjoyed such conditions for a long while with the acquiescence of our politicians. DH: What were your thoughts and feelings when you woke up to the referendum results? AP: It was a very big shock to me. I had gone to bed rather complacently. The Remain camp had thrown millions of pounds at this campaign, money from Goldman Sachs, CitiGroup and all those big banks. They applied the same tactic as they’d used in the Scottish referendum, which was to make people afraid. I thought everyone’s would fall for this. My husband who has worked in local government in Europe over a long period – his offices were based in Paris and Brussels – phoned me up at 4 a.m. and said, “Ann you have to get out of bed! There’s something going on here...” He had not managed to go to sleep – he was so worried about this. I was absolutely stunned and also quite tearful, really. For me, it was shocking. It was shocking that the government had actually called a referendum, because the implications for Britain’s future are dire in my view, not just economically but politically also. Secondly, it was shocking because we have connections with Europe, we are linked to Europeans, we know Europeans. I personally believe that Europe is a buffer between China's communist leadership, on the one hand, and America’s extreme free-market regime on the other. Europe is a very important ideological buffer between those two great powers. By disconnecting from that, we are disconnecting from a role we could play in world politics. There are other implications. In Northern Ireland, for example, it's not impossible for civil war to start again, because the Catholics want to join the Republic of Ireland and the Protestants don’t want to join. The Good Friday Agreement was actually negotiated based on the presumption of European membership. And then there’s Scotland and the desire of the Scots to leave the Union of the United Kingdom, now intensifying as I speak. So there’s a lot of politics involved. But for me the most scary thing is that it has energised the far-right in this country. We've just had a Polish gentleman murdered in Harlow by a bunch of kids on a Saturday night just throwing glass bottles. It’s shocking – and this is not the Britain I know. So when those on the Left say they were for Leave, I think that they were very badly misguided. DH: Brexit has been described as a death knell for neoliberalism. It is also described as the retreat for globalisation. Is this the same thing? In other words, can you have globalisation without neoliberalism? AP: No – I don't think you can. If it’s not the “death knell”, it’s one of the big signals. I think Donald Trump is another one. What's very interesting about Donald Trump’s wall is that, in order to build it, he said he’s going to demand that the Mexicans pay for it. If they don't pay the ten billion bucks, he’s going to block the flow of capital – US$24 billion worth of capital – from Mexicans living in America back to Mexico. Now that’s curtailing capital flows and that would definitely be the beginning of the death knell of globalisation. We've seen capital flows shrinking since the Global Financial Crisis, so we’ve already seen deglobalisation take place. As markets contract and as there’s fear and insecurity around the world, capital goes home or is less adventurous than it was before the crisis. This is central to my theme that, to restore economic and political stability to the global economy, it is essential that we bring offshore capital back onshore to be regulated by the societies within which it originates. DH: Many commentators view the policy response to the Global Financial Crisis as inadequate to the scale and nature of the problem. What lessons might we take from the successes of the Jubilee 2000 Campaign about how to advance economic reform? AP: I’m very proud of the Jubilee 2000 campaign. We got enormous amounts of debt cancelled. We forced the big financial institutions to rethink their strategies in poor countries. And we helped poor countries to disentangle themselves from the IMF [the International Monetary Fund] and the World Bank – sometimes only temporarily because some have jumped back into the IMF’s arms. The IMF was in very deep trouble after the Jubilee 2000 campaign. Countries like Nigeria and Brazil paid off their IMF debts and that really hurt the organisation because it lives off the earnings it makes from lending. It was in a very dire state – until helpfully the European crisis came along and the IMF was able to reinvent itself inside of the Eurozone crisis. But the Jubilee 2000 was led by progressive forces, many of them in NGOs but also in the churches. We don’t have that kind of progressive leadership for an anti-globalisation movement anymore. The Occupy movement was very interesting and had impact temporarily, but the basis was not well-developed. There was no key ask: “We demand this” or “We demand that”. [...] The thing about the Jubilee 2000 campaign is that we and our supporters had a very sophisticated understanding of the international financial architecture and how it was hurting poor countries. It was this understanding that powered the movement – yet we lack the same understanding of what drives globalisation. DH: I'm fascinated by the role of the church in the Jubilee 2000 campaign. I note that churches also played a prominent role in the formation of the Living Wage movement. It speaks to the way that economics has lost its human touch, its human element, in a way that a writer like Keynes or even Adam Smith never did. AP: I’m not particularly religious – but underlying the jubilee principle is the notion that you cannot perpetually extract debt from the poor. There has to come a point where there is, in the words of the Bible, “forgiveness” – or we would say debts are “written off” or “cancelled”. This idea that periodically one must correct imbalances is fundamental to Christianity. It’s why we have Sunday as a day of rest. It’s why we have sabbaticals in universities. According to the Old Testament, the principle of jubilee is fulfilled by freeing slaves, writing off debt, and starting again. That is done, on the Sabbath, by resting the land and allowing it to recover, then starting again. Without those periodic corrections, imbalances – both financial and environmental imbalances – will simply become unsustainable. Now that’s such a deep fundamental Christian value and has underpinned some 2,000 years of Christian teachings – and yet it’s overturned by the notion that a debt must always be repaid, and that creditors are always in the right and debtors are always in the wrong. One of the reasons I don’t like the word “forgiven” is that it implies the debtor is the sinner and that the creditor is the do-gooder. But that is not at all the case. In many cases, debts came about because creditors lend recklessly (speculatively) to make considerable, short-term gains from those loans. When British governments backed the lending of money by private banks to Nigerian dictators in order to buy British armoured cars, there was a great deal of vested interest in that lending. British industry gained, and the exports helped stabilise the balance of payments So then to blame Nigerians for the corrupt dictators that borrowed from British banks is to not see both sides of the story. In the Jubilee 2000 campaign we exposed both sides of the story: we called for both creditors and debtors to be held accountable for their loans. And that's partly why were so successful. DH: Reflecting on contemporary crises, George Monbiot wrote recently that: “Every invocation of Lord Keynes is an admission of failure... [Keynesians] have nothing to say about our gravest predicament: the environmental crisis. Keynesianism works by stimulating consumer demand to promote economic growth. Consumer demand and economic growth are the motors of environmental destruction.” Is this a fair cop? Is green growth a credible response to climate change? AP: I have great respect for George Monbiot's understanding of the environment but he has very little understanding of economics and, in particular, of Keynesian economics. I felt insulted by his remarks. Now, the whole idea of growth is not a Keynesian idea. It is a neoliberal idea and it was invented in the 1960s and early 1970s by Samuel Brittan of the Financial Times on the one hand and by the OECD on the other. They proposed – at a time of full employment, which had come about partly as a result of Keynesian policies – that there was a need to escalate corporate rates of profit. They proposed that Britain should set a target for something they called “growth”. And then they recklessly set a level of growth of 50 per cent over 10 years! That growth stimulus, financed by “easy money” provided by the newly de-regulated City of London, triggered inflation. That’s where inflation in the 1970s originated, for which the unions are routinely blamed, not economists, the OECD or Sam Brittan. It was totally unsustainable and should not have been allowed to happen. The point about Keynes is that, true, he lived through a period where there was not the awareness of the threat of climate change as there is now. But he was very clear that demand doesn’t just refer to consumption. Demand refers to employment, as well as demand for capital. His General Theory was a theory of Employment, Interest and Money. In a famous essay he argued that societies should, where possible, be self-sufficient. His brilliant essay "National Self-Sufficiency" argues that states should “let goods be home-spun and money be national”. He believed that the financial system should be nationally based. So the concept of “growth” is a neoliberal concept, and should not be endorsed by Greens continually using the term. With Keynes, the important concept is the level of activity, for example, the level of employment. Is it too high or too low? Keynes wanted economists to be practical, like dentists, and to manage or fix important levels of activity –investment, employment and trade – and to re-balance these activities if they were too high or too low. So I think George is totally wrong and misguided – and also quite insulting in the way he talks about a field that he has very little knowledge of. What Keynes is saying – and this is what’s important to the environmental debate – is that it is possible for a society with a developed monetary system to finance very big projects like going to war, like bailing out the banks, and like transforming the economy away from fossil fuels. [...] Regrettably Keynes’s monetary theory and his monetary policies have been buried – well and truly buried – by, in my view, the banks – and by journalists like George Monbiot. Bankers don’t want us to understand what Keynes knew and understood about the financial system. George does not understand how urgent it is to find sufficiently large sums of money for the gigantic task of transforming the energy system away from fossil fuels. He and other Greens have joined with the neoliberals by suggesting that we might have to raise money from taxation, from credit unions, from private companies that have surplus capital to spare, or from crowdfunding for example. That’s what he and what the neoliberals think. Keynes would explain that that would not be necessary. Instead with the help of a central bank and a [UK] government able to issue bonds, backed by some 30 million taxpayers – and there’s a new one born every day – it is possible to raise the finance. It is possible for government not just to raise the finance needed for this great transformation, but also with the aid of the central bank to manage the price – the rate of interest – on that finance . If we all understood that, we would know that it would be possible tomorrow to finance and begin the transformation of the economy away from fossil fuels. But because George reinforces ignorance about money, he helps the deniers of globalisation to delay the moment when we will be able to find the money to undertake this necessary transformation. And about that I'm rather angry – as you can tell.